There’s a song . . . yeah I know, I’ve said it before, everything’s a song to a musician . . . but bear with me. There’s a song from the last album Pink Floyd put together. It’s not one of the hits. 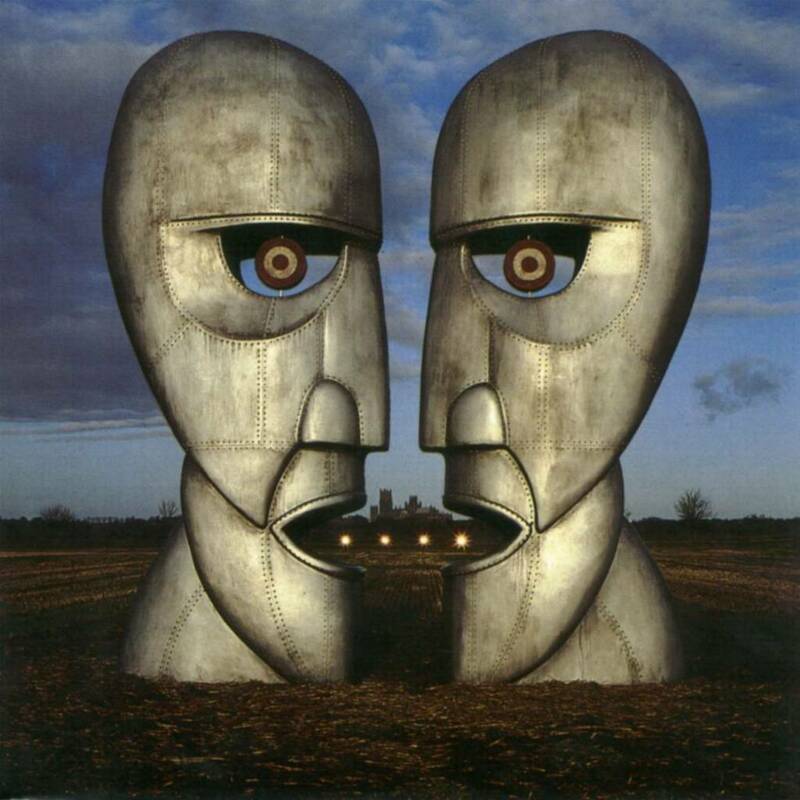 Hell, most people decidedly ignore “The Division Bell” as a Floyd record anyway. But I started listening to the LP again the other day, just because one of the songs had gotten stuck in my head. Then this song came up, between the typically played ones. Bear in mind…this is Floyd, a normally dark, insanity-laden group with great writing, deep lyrics. Much of their stuff has a tinge of sorrow and longing in it. This song is no different. But it seemed strangely apt for me. Where were you…when I was burned and broken. I was staring straight into the rising sun. It’s not a very subtle metaphor for you here, I get that. Still…subtlety isn’t always the best policy. I think it’s good I didn’t hear this song when I was at my worst, in the peak of sadness and grief. Most people have never lost someone this way and I truly don’t wish that on anyone. The thing is . . . I can’t even tell my kids that I understand what they’re going through. Their grandparents can. Their Aunt can, to a degree. But my loss is different. We can relate in loss but we can’t dwell in the same space. They lost their mother, and that’s cold, hard, and difficult. The warmth, the softness, the silly, smiling truth that a Mom, a woman can bring has left. I cannot give them the motherly embrace they desire. I can only embrace them and give them the best I can. But for me . . . I lost something different. In the days, weeks, and now years after losing the woman I lived with things changed, a lot, almost with a strange, off-beat rhythm. In the beginning I could easily have shouted those first two lines – I was burned and broken. I was hurt and helpless. The person I normally turned to when things went totally bonkers, haywire and crazy was gone. She often took the word of others ahead of those who loved her. I know that’s human nature, but it doesn’t help anyway. When doctors said she was weak, there were times I wondered if she gave up. In the first few months I was blinded, staring straight into the shining sun. Then last year, without even realizing or noticing what was happening, there was a shift. I don’t know when it happened, but I started going to bed and hadn’t noticed the lack of the shift in weight from the other side of the bed. I didn’t notice the warmth that emanated from my right side was gone. I didn’t feel the press of her shape against me any more. At some point, without realizing it, I stopped telling Andrea goodnight. I reached a point where I did the final things. The grave has a stone. The picture on my dresser of her was gone. I changed the mail and email so that her name wasn’t there any more. It’s not a cold thing to remove those imprints, they had faded already. Don’t take growth for coldness, though. There is a tear in my soul that will be there forever. You don’t heal it, though. The tear changes you, like a hole in the universe, pieces of your past and future swirling into it. Sometimes the best things are all that come to the front of the tear…and you forget the horrible things that the person may have said or done to you in a moment of fear or weakness. Sometimes the horrible things are all you can feel. But just about a year ago I felt the change in how I dealt with that tear. It was no longer the worst part of me, it was part of me forever. That was a good thing. The tear brings in the best and worst part of more than twenty years of life. You can’t ignore it or sew it shut, you embrace it and ride the waves of emotion that it brings. A smell of pizza from the Italian restaurant in Omaha reminds you of meeting her sister. A certain wine reminds you of a horrible fight you had on your 30th birthday. A movie makes you laugh out loud not because of the movie’s humor but because of how it tickled her one day. A song still makes you tear up a little. Coming back to life. I feel like the last half year to a year has been the seeds of life growing again. I’ve felt all of us start to come back to life. We weren’t zombies or comatose creatures wandering through the mist. We were dormant, waiting for the time when we could feel the warmth above us again. We were waiting for the touch, feel, and love of each other and those around us. You see . . . the tear in my soul was there, swirling, light going in and out of it. For so long I avoided and feared it because I thought it was like a black hole, taking the memories one at a time and plucking them from my mind and dragging them into obscurity. But it wasn’t a black hole I was looking toward. I was staring straight into the shining sun.